If you follow me on Instagram or Facebook then you might have seen that last week my Fleet & Flourish strike offs arrived, the very best happy fabric mail EVER! Right away I took some photos and got started preparing for my trip to Houston Quilt Market later this month, where I'll be debuting this new collection! For weeks now I've been dreaming up new project ideas specifically with these fabrics in mind. It's both exciting and surreal to finally be sewing with them! 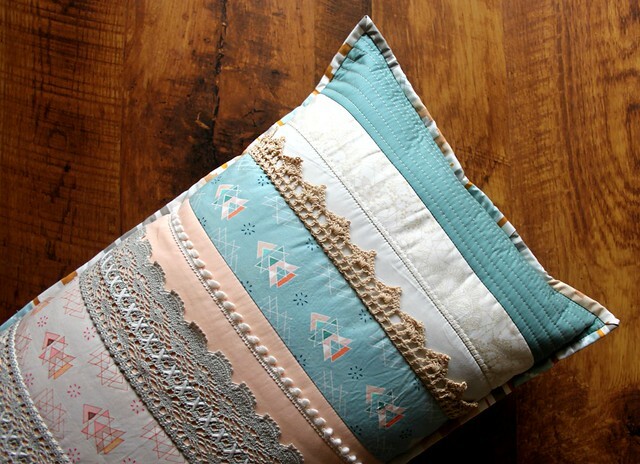 My Lace in Bloom print inspired this first Quilt Market project -- a pillow in my absolute favorite size, combining my lace print with these gorgeous lace trims I recently purchased at Fancy Tiger Crafts, my Miniments print in both colorways, and some solids to pull it all together! For this collection I want to create projects that are pretty and romantic, with the bohemian style I love so much, layering lots of details and textures! Each of my strike offs measure somewhere between a fat quarter and a half yard each, so for all of my projects I'll be adding in lots of Art Gallery Pure Element solids and Prisma Element blenders. 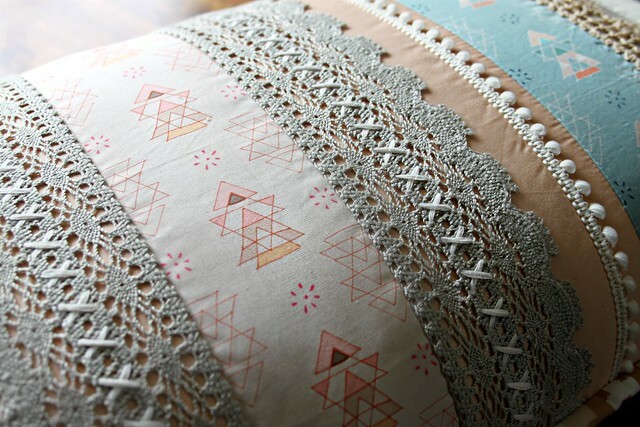 Since I wanted to show the softer side of my Fleet & Flourish collection in this first pillow project I mixed these prints with Peach Sherbet, Patina Green, and Snow solids. It all made such a pretty combination! It feels so good to check this first project idea of my list, I hope you love it as much as I do! I'll have many more Quilt Market projects to share throughout this week and those leading up to my trip to Houston. Today I'm beginning a quilt favorite, this time featuring the plum shades in my Innocency colorway. I'll be sharing lots of peeks in between my posts here over on my Instagram if you'd like to follow along! Very lovely collection! That Pillow is great. 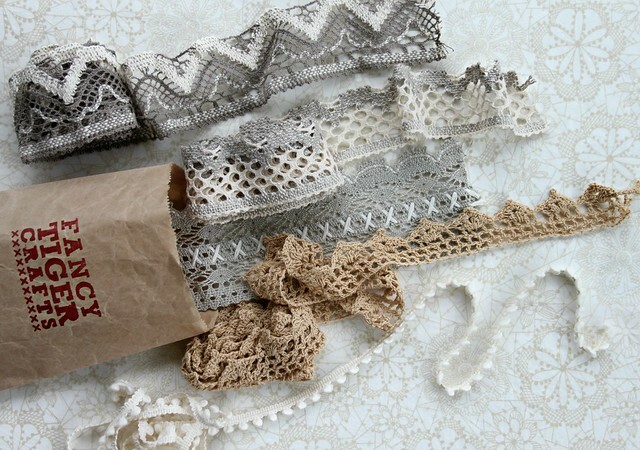 Love the use of lace with your fabrics - awesome!!! This fabric line is so pretty!!! 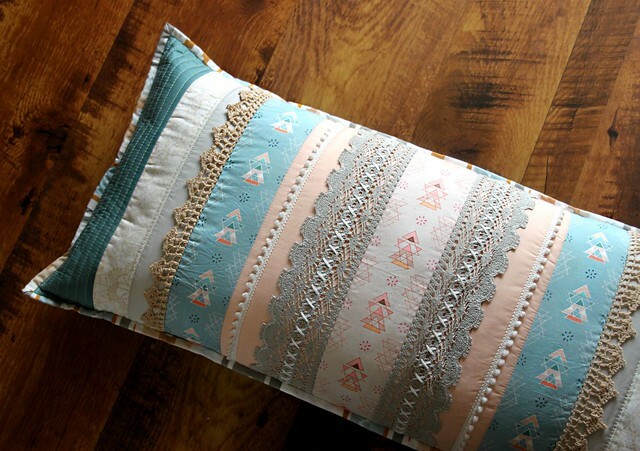 I love how you used the different embellishments on the pillow. I never know what to do with them, you provided a great idea! 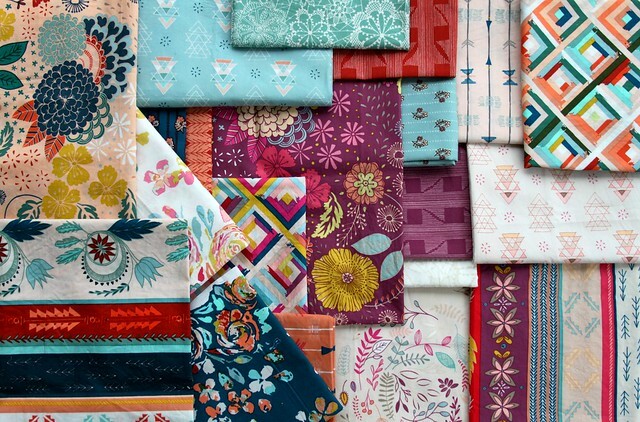 Beautiful fabrics, can't wait to see them in person. See you in Houston. Congratulations on such a lovely fabric range. I love the colour combinations and also the varying size of the designs. Very nice. So pretty! Are you going to stay for the quilt festival too? I live in Houston...I can't wait! So--what is your favorite pillow size? 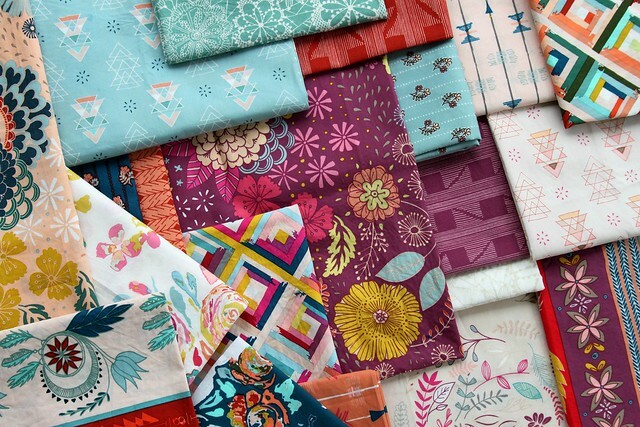 And what a great new line of fabrics! Congratulations. Gorgeous fabrics! I love lace, it really adds a little special something here! Love your new fabrics, they are beautiful. Can't wait to see more projects. Congratulations! Beautiful new line! And gorgeous pillow! Hope it's not too stressful getting ready for Quilt Market! What a beautiful pillow! Loving the fabrics with the gorgeous lace- really unique! !